.... If you look closely, in the lower right hand corner of the painting you can see Icarus with melted wings falling into the sea. 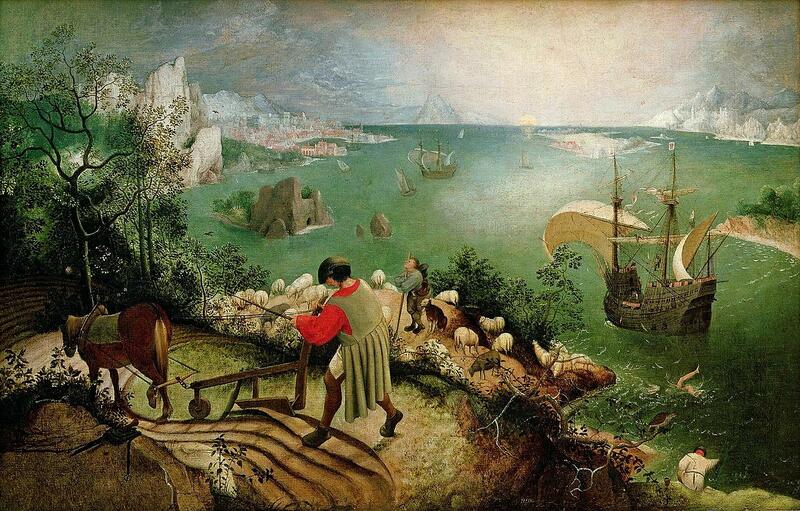 Ovid’s point was the danger of hubris; Brueghel had another idea. In Brueghal’s version of the myth, Icarus falls and no one cares. Sailors on their ships, farmers and others are unconcerned, going about their own business, unaware of the calamity unfolding in front of their eyes. All are apathetic in the face of appalling tragedy and heartbreak.